Dr. Walia team also treated a man for MPB. His hair loss was denoting Noorwood 6 scale. His temporal areas and center of head were extremely distorted by the disorder as shown in the images. 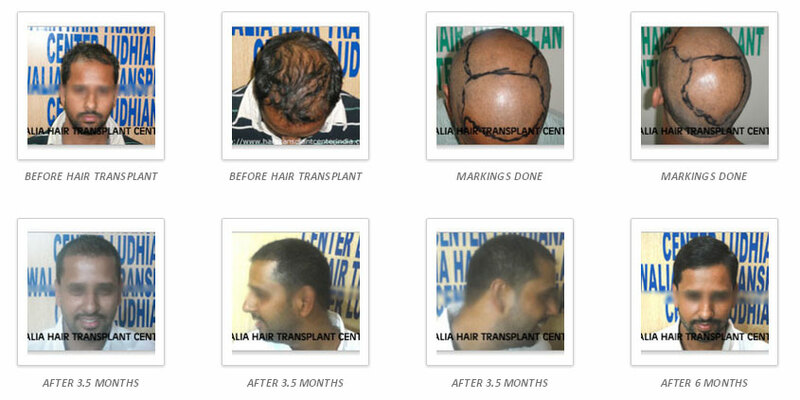 Six thousand five hundred hair grafts were transplanted through Follicular technique to set the hairstyle properly as shown in his eight pictures.